Take your viewers on a quick trip to Paris. This graphic places the Eiffel Tower against a postage stamp to create a romantic impression of the city. The stylized stamp provides a pastoral background for the famous landmark. Clouds pass over a neutral sky, and the Eiffel Tower is presented in a cool peach color. The subdued colors add to the graphic's casual look. 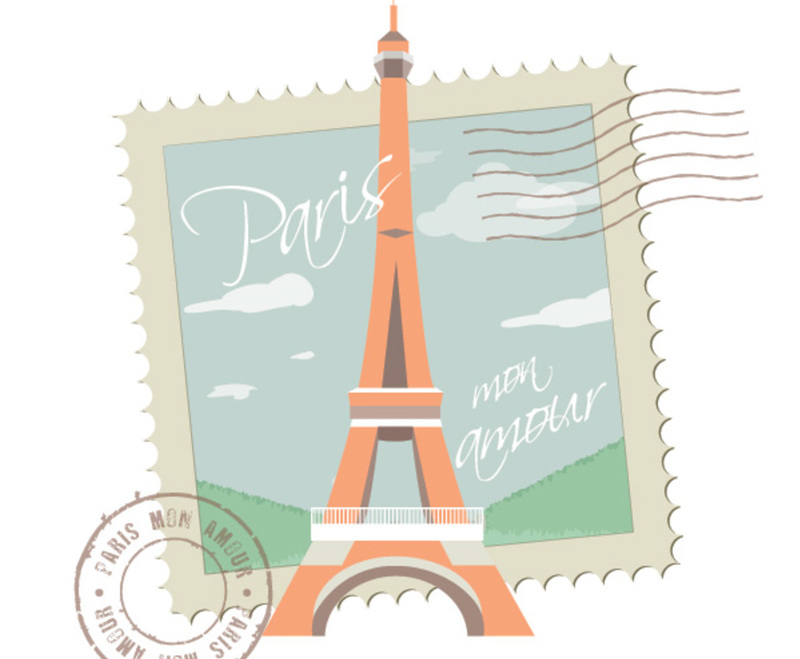 The words "Paris Mon Amour" appear over the face of the image and in a postal processing stamp in the bottom-left corner; there's also a set of address lines in the upper right to complete the effect.